3 Beds 2 Baths 1,669 Sq. ft.
WOW! Three letters that perfectly describe this meticulously maintained and updated home in the Active Adult 55+ Community of Summer Trees! Lush landscaping leads you to an inviting front porch! Spacious front living room with laminate flooring, crown molding and plantation shutters! New in the last two years-Cherry wood shaker style kitchen cabinets with stainless steel appliances! Breakfast bar open to dining area! Sun tunnels make it light & bright! 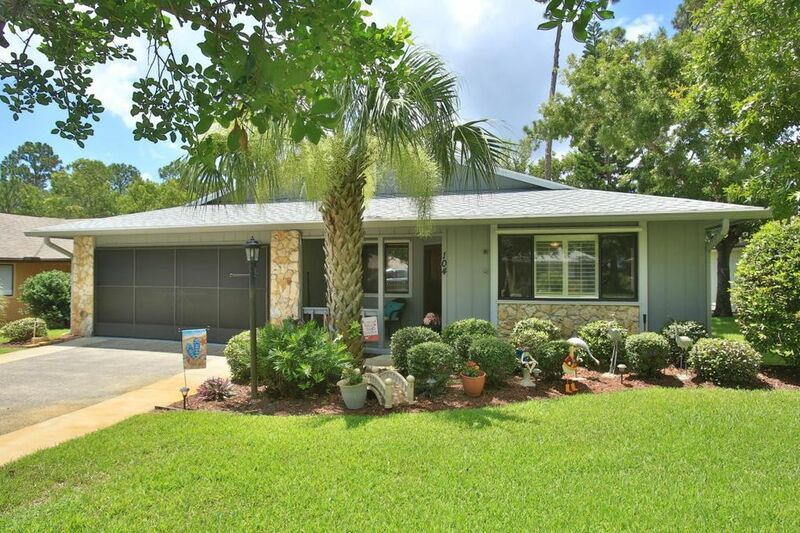 Sliders to air conditioned Florida/Family room (incl. in sq footage). Split bedrooms! Updated bathroom cabinetry! Relaxing covered & fenced patio perfect for BBQing! Community fee includes grass cutting, cable tv, house painted every 4 years, sub ter. termite bond, clubhouse, pool, tennis, shuffle board & miles of walking & bike paths!